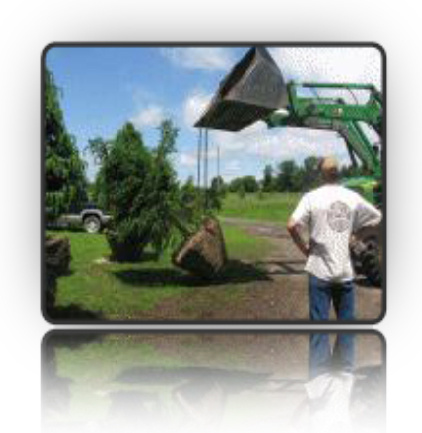 At Fallowfield Tree Farm we specialize in nurturing and then carefully removing your choice of farm-grown trees from our own, larger than usual, mature, large caliper tree collection – and then planting them where you want them – trees to add that extra punch, or ‘WOW’ factor, to complete your landscape. 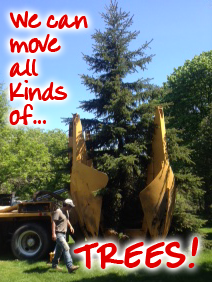 We can also help you relocate or remove the trees you already own, both big and small (up to 9-10 inches in diameter). We’ll even help you with solutions on removing troublesome, undesirable, unhealthy, or just plain ugly trees – with no stump left behind. 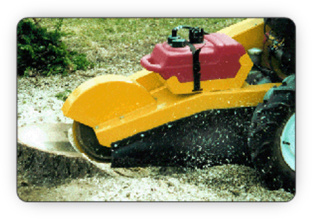 And if you’ve already gotten rid of the tree, we can do the stump grinding for you, too. A large part of our farm features a broad choice of mature, 'will-look-absolutely-stunning-in-your-yard' large-caliper trees of all varieties. caliper size, including a wide range of spruce, pine, cedar, balsam, fir… and more. Our Deciduous collection – these leafy trees range from 5 - 30 feet, and 2 – 10 inches in caliper size, including oak, a wide range of maples, walnut, fruit trees… and more. Did we mention it's BIG? And then have to wait 15-20 years for them to grow and fill in? So, come on out to the farm – maybe even bring your family – and choose a tree or two. 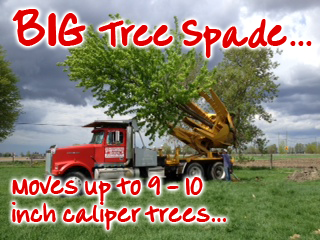 We’ll give you a quote for each tree, as well as an all-in quote to deliver and install. So, whether you’re looking for coniferous or deciduous trees, saplings more mature than typical, skinny, big box store striplings – to fill a void in your yard or garden – let us help. What's a relatively easy job for us – will save you from a long, back-breaking job… and heck, we’re happy to help. Delivery/installation includes excavating a proper hole for the root ball, necessary fertilizers, bonemeal, and extra soil & mulch, as required. We’ll even give you a no-quibble, one-year warranty on your tree(s). We strive to do whatever it takes to ensure you’re satisfied with your new landscape trees, and that you’ll be enjoying them for many, many years to come. Already have that perfect tree – but it’s just not in the perfect place? No problem! Help is as close as your phone. 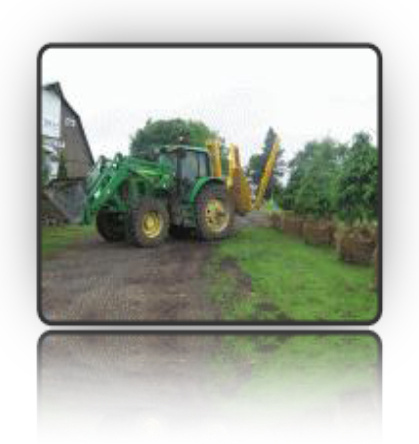 Uprooting, moving and replanting your tree… are all in a days work for us – which means no hassles for you. And when the job is done, there will be little evidence we've been there… except of course, the tree will be gone (or moved to a different place on your property). All that – and our services are reasonable and fully insured, too. Got some troublesome, undesirable, unhealthy, or just plain ugly trees? 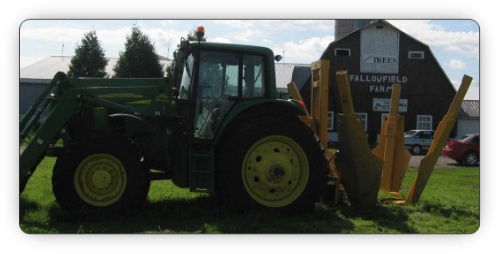 With Fallowfield Tree Farm, you can make them history – with no stump left behind. If you have problem trees, unless you have a massive tree scoop parked in your driveway, you could probably use our help. Large, established trees are deep-rooted and can be really tough to deal with safely and effectively. And removing them takes skill and precision, especially if you want to re-plant the tree somewhere else. 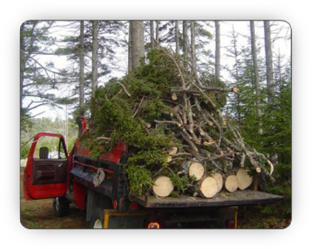 Using the Fallowfield Tree Farm experts makes your job simple, clean, and stress-free… and who doesn’t love to hear that? Whether we cut your tree, or you’ve already got the stump, let us do the stump grinding for you, too… think how much nicer your yard will look without those rotten, decaying relics of trees gone by disturbing your landscape.